Rochelle Cabinets speak of the raw luxury that nature has to offer with its exquisite facade that radiates with sunshiny warmth making up for an excellent welcoming addition to the heart of your home. Having become the hub of each and every home, it has become more essential that what you choose to integrate into your kitchen is as appealing as it is durable and practical. 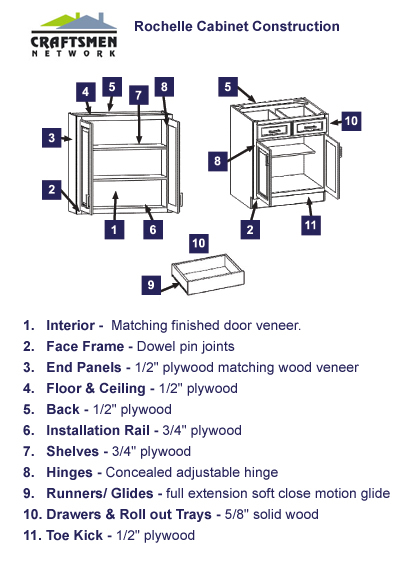 This is where the Rochelle Cabinets fit in ideally, and where Craftsmen Network can conveniently help you. 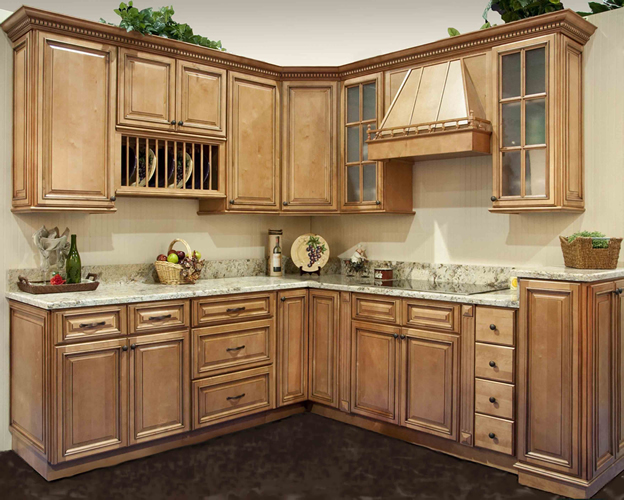 The inherent allure and strength that our Rochelle Cabinets boast of come from fine maple and birch wood that has long since been a favorite when it comes to kitchen cabinets. Taking advantage of the excellent absorption offered by such wood, coffee glazed to bring out the naturally light beauty and fine texture of maple. The luscious blend of hues sets an appealing tone that brings out an atmospheric look and feel to perfectly match from casual, to traditional, and to country themed décors. 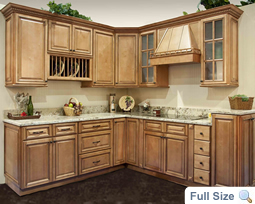 Let your kitchen bathe in the sunshiny warmth that Rochelle Cabinets have to offer. Our company specialize in bringing you, our customers, cabinetry that are equally well-made and durable as they are completely gorgeous. Rochelle merges master craftsmanship with quality materials to bring you the set of Rochelle Cabinets that you and your home deserves - which is nothing but the best. Each unit is built considering every detail, up to the smallest. This passion to deliver and serve you best is greatly reflected in our products as well as our customer service. And all these you'll get at an astoundingly reasonable price.